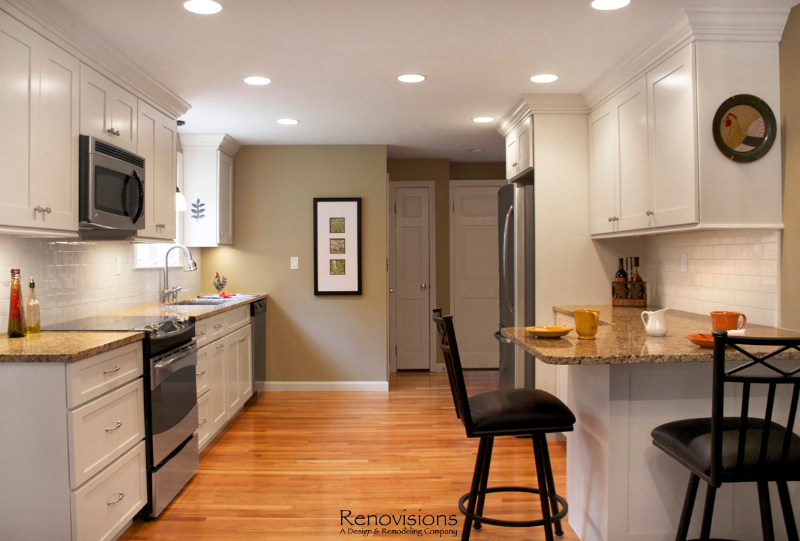 Our client was ready for a re-do and approached Renovisions for help to design and build a beautiful and durable space that will last as well as add value to her home. 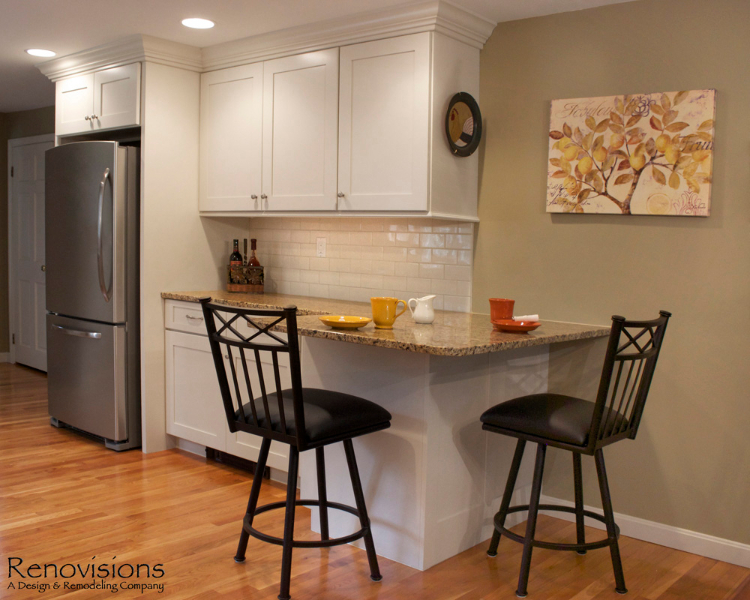 The challenge was to design the new kitchen to allow for better traffic, flow and functionalize this space for much needed storage. 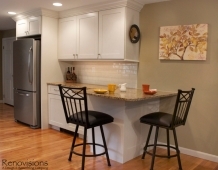 Moving the refrigerator to the other side of the kitchen and opening up a section of the wall between the dining room and kitchen was a great design solution. 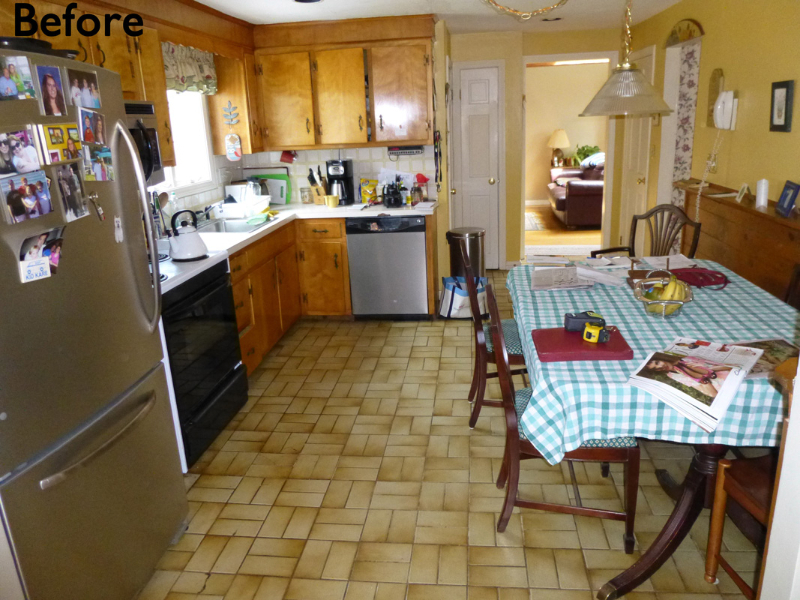 We increased the flow to the dining room and created a spacious feel with better access from the dining area. 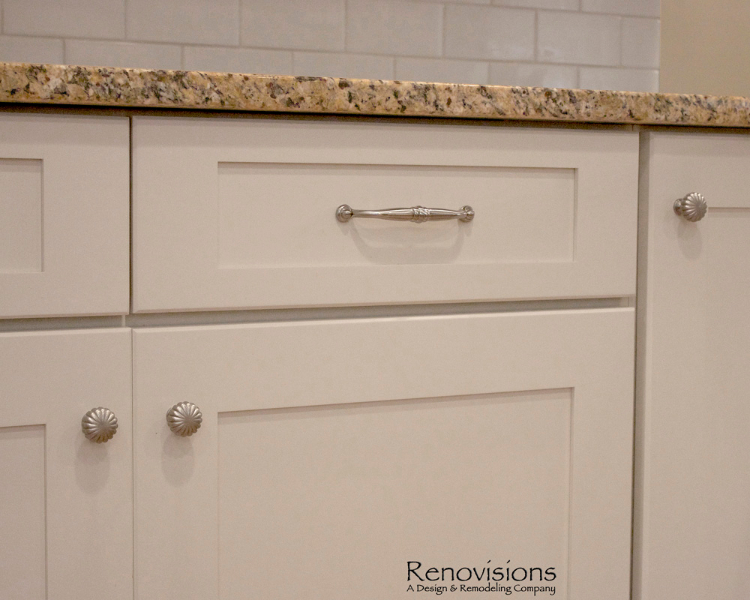 Warm hues from the granite countertops provided a rich contrast to the Ivory colored cabinetry that brightened up the room. 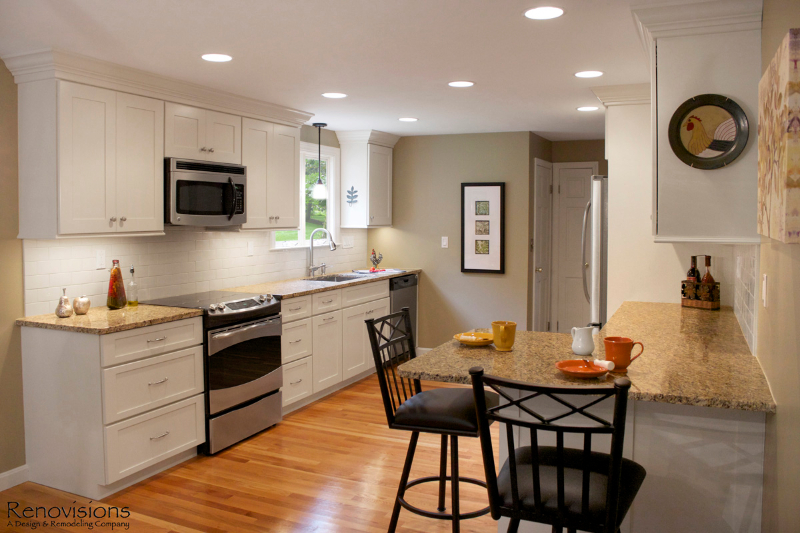 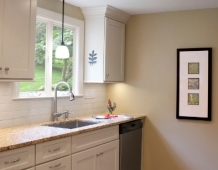 Under-cabinet lighting was added over all countertop areas and is controlled by a dimmer switch for both task and ambient lighting. 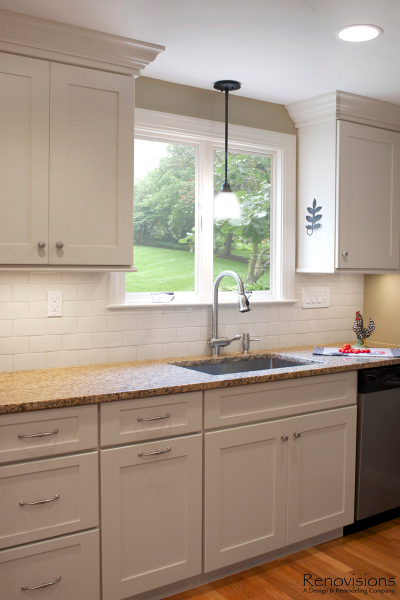 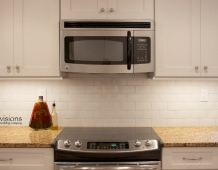 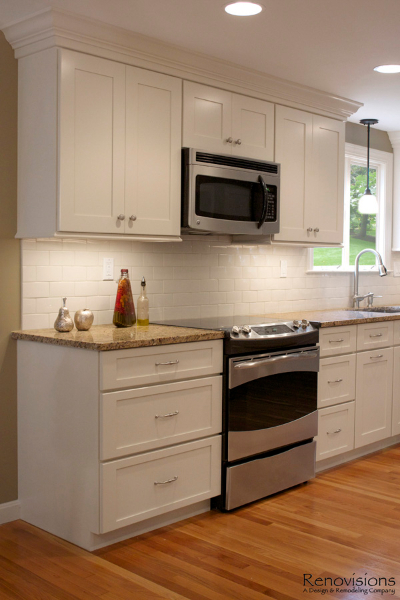 The brushed nickel hardware compliments the stainless steel appliances and Jado pull-down single lever faucet. 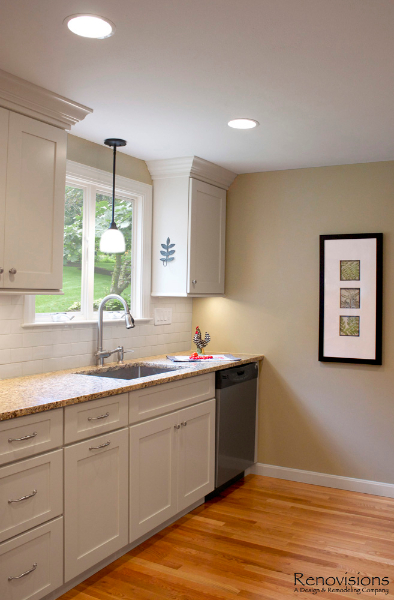 The walls are a warm and inviting earthy green tone and ties in well with the soft linen hue of the beautiful subway tile backsplash. 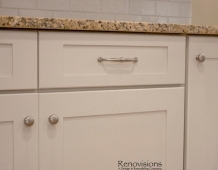 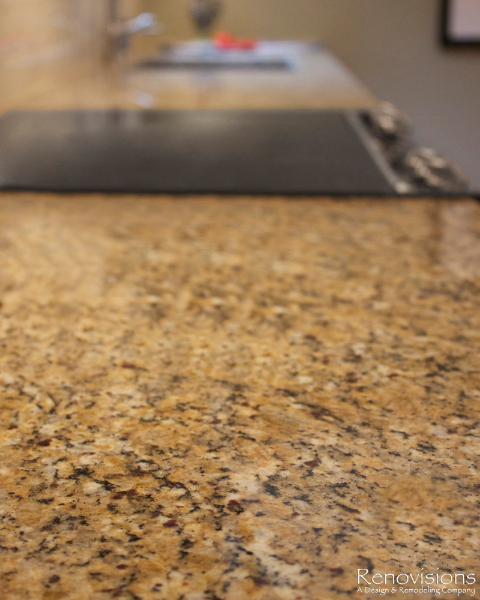 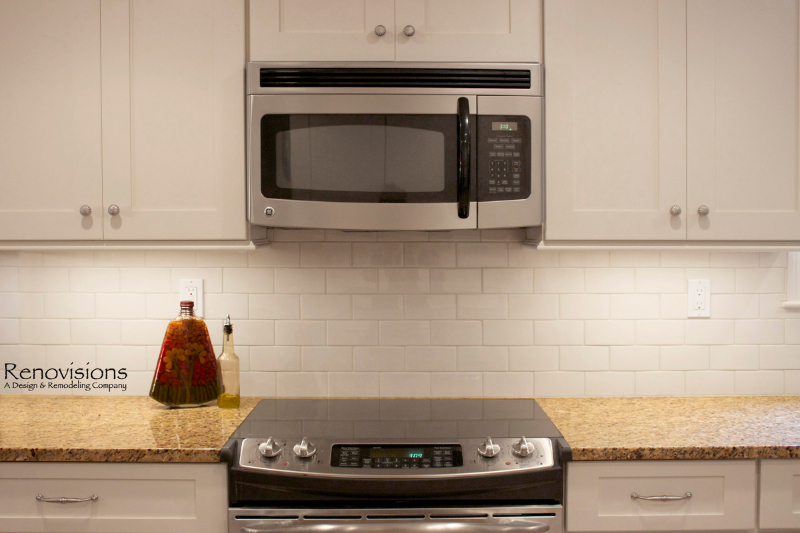 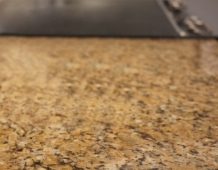 Simple, clean lines and earthy materials like granite and stainless steel worked together to soften the whole look. 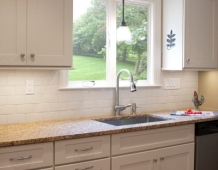 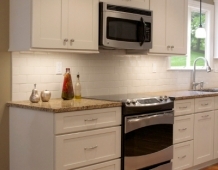 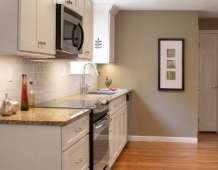 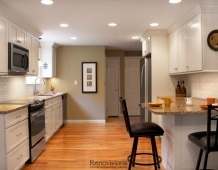 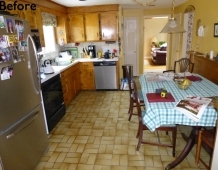 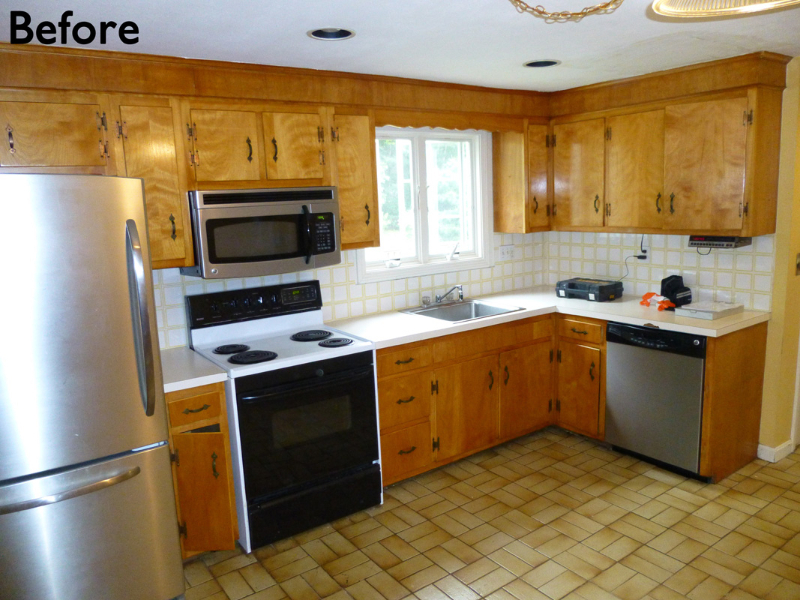 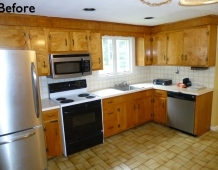 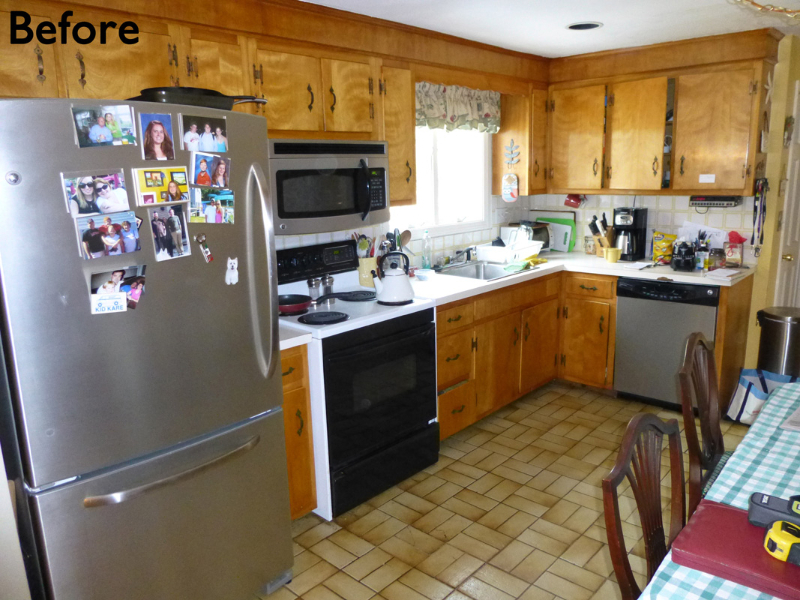 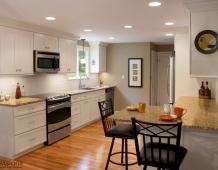 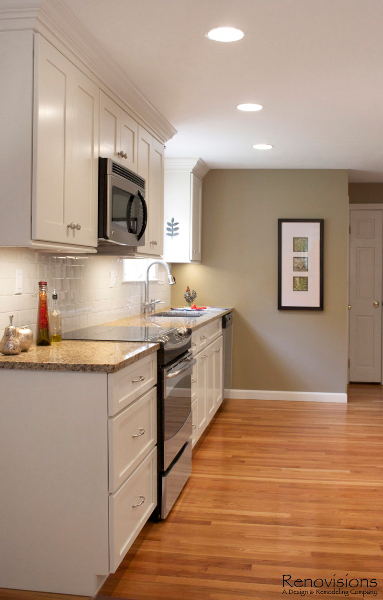 Renovisions turned this outdated kitchen into a magnificent space where this homeowner plans on spending a lot of time.